Trevor Hennings and Patrick Bennett contributed to this article. 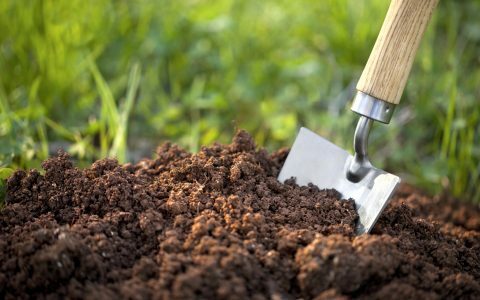 After months of attention and effort in your cannabis garden, it’s finally time to finish what you started. 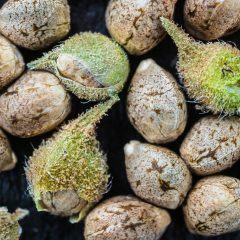 Many people dread the process of trimming cannabis buds (also known as “manicuring” your cannabis), but luckily there are ways to make it more enjoyable and efficient. Knowing the basics before picking up a pair of shears will help ensure you’ll end up with the perfectly manicured buds that you’re looking for when going in for that first smoke. 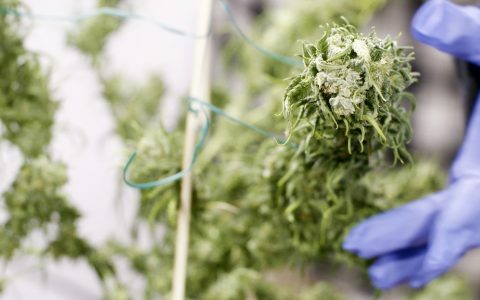 Trimming cannabis serves several main purposes. Aesthetically speaking, cannabis looks better when well manicured. 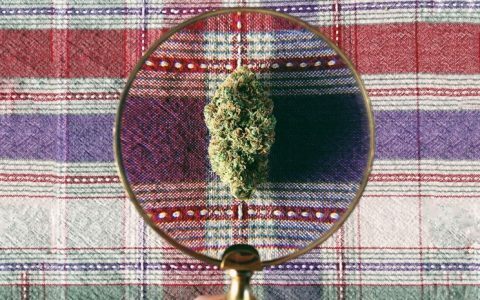 Cannabis that has been trimmed takes on a tighter, more uniform appearance, much like you would find on a menu at your local dispensary or in the photographs that line your favorite cannabis publications. Excess foliage is an eyesore and evening the buds often results in a final product that is far more visually pleasing. Additionally, sugar leaves tend to contain a lesser concentration of trichomes. Removing these protruding leaves will expose parts of the nugs much richer in trichome concentration. 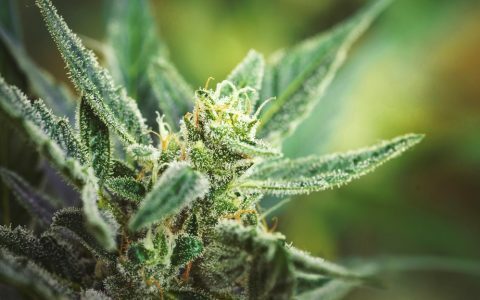 Larger leaves protruding from the buds also tend to provide a harsher smoke, as the foliage is thicker and harder to wick away moisture. During the curing process, trimmed buds tend to leave a more uniform moisture content, proving a much more even and flavorful smoking experience. 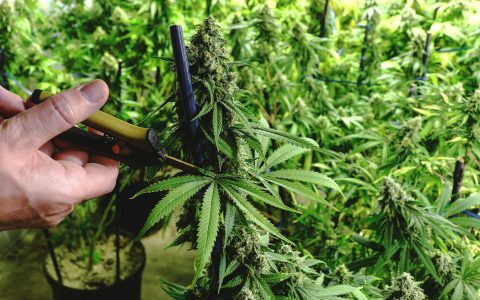 When Should You Trim Your Cannabis Buds? Believe it or not, trimming should begin several days before harvest, when the larger fan leaves are removed. 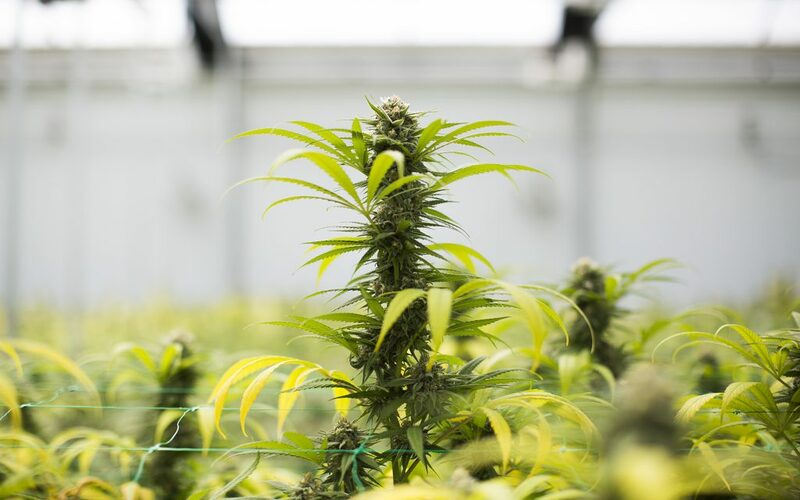 Growers often trim away such fan leaves in the weeks leading up to a harvest as this is when senescence begins, a phase in the plant cycle when larger fan leaves begin to wither away with age. It’s safe to begin removing the dying foliage in the days before harvest, or you can go one step further and remove all of the fan leaves during this time frame. 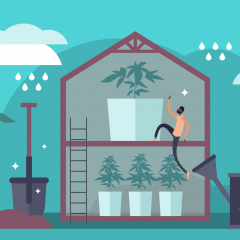 Trimming your harvest is inevitable, but there are a few different methods you can adopt to get the job done. 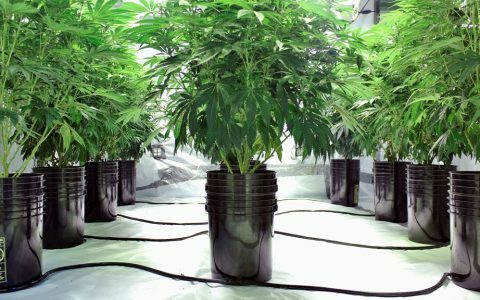 If you have a large-scale grow, you may have considered investing in trimming machines. Not only are they expensive, machine trimmers have a laundry list of issues with maintenance; as a result, they have not replaced hand trimming in most markets. Shape and density of the flowers are unique to the strain and vary from bud to bud. 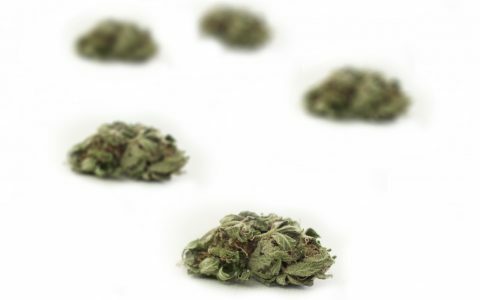 Machines standardize this varying structure, resulting in damaged trichomes and shaved buds. There are two windows of time when manicuring can take place. The first is on harvest day, when the plant is still alive and on the vine. This method is most commonly referred to as “wet trimming,” and it is arguably the most widely preferred method for several reasons. First, trimming wet affords you “open access” to your buds, so to speak. Sugar leaves will extend outward as a result of their excess moisture content, making their removal a much easier process. Many argue that trimming wet will result in a tighter and more aesthetically pleasing final product, though this is debatable. 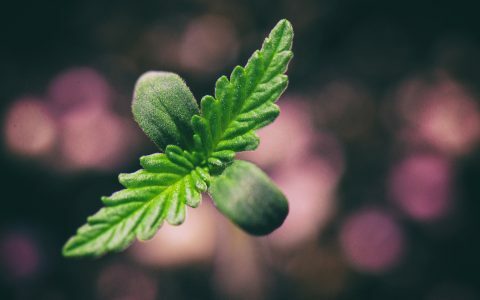 Wet trimming will almost always result in a faster drying process as well, because the extra foliage will keep moisture within the buds for longer. Dry trimming, on the other hand, occurs after the plants have had time to wick some of their moisture. 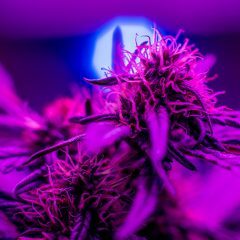 If left in a light, humidity and temperature controlled environment for 4-10 days (up to two weeks in some cases), un-manicured buds will lose their moisture more slowly. This can benefit growers who live in much drier climates, as it affords more time for the buds. 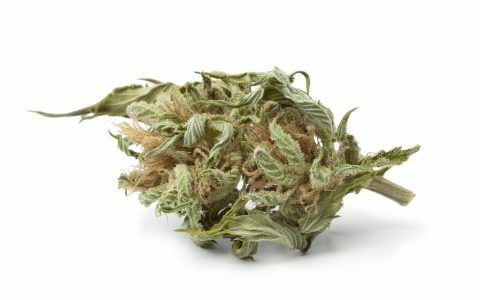 Often in dry climates, buds will dry at a more rapid pace, resulting in an unevenly wicked bud where the outside is bone dry, leaving the inside unaired and dank. Many prefer dry trimming as well because the process tends to be less sticky and easier on your shears. Wet trimming can turn a perfectly clean pair of scissors into a finger-coated hash haven in rapid time, often resulting in multiple cleaning breaks before trimming can recommence. At the end of the day, either method works well, and your individual situation should determine which route you take. Before you sit down to trim your buds, you’ll need to acquire the right supplies. Sharp, sterilized pruning shears are a trimmer’s best friend. Make sure that your scissors are ergonomic and will fit comfortably with your grip, as you will be holding these bad boys for quite a while. Furthermore, with time, these scissors will only get stickier, so purchase a pair that will clean easy, or buy two pairs so you can switch them out once they become covered in sticky resin. You may want to invest in both a small pair of scissors and a larger pair of shears. The larger pair will help for branch cutting and the smaller scissors work well with the more precise trimming. There are many types of scissors you can buy. The biggest difference is between spring loaded and standard. Many people initially go towards spring loaded because they feel quicker and more intuitive. However, our growing experts recommend purchasing Chikamasa scissors. These are not spring loaded and might take a day or two to get used to, but you will soon notice the precision and speed they provide. You will want to find the most ergonomically conducive space to lay out your trimming gear when settling in for a long trim. Pick a cool place with plenty of light. Try to stay away from places with excess dust, hair, or particulates, as you will risk contaminating your workspace. Remember, this is your domain. The longer you sit, the more work you get done, so find a comfy chair like a standard zero gravity chair. They offer incredible support and the ability to recline to a position that fits you best. Another great option is a firm standard folding chair. Avoid any camping chairs, couches, or anything that results in you hunching over and compressing your lower back as you trim. Many growers opt for trimming trays because they are much easier to transport and can make a great lap companion. 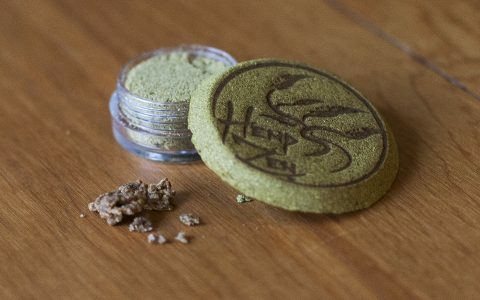 There are a number of companies selling trimming trays, but we suggest something that has a screen for collecting for kief. The simpler the design the better, and if you’re on a budget, sprouting trays work just fine. Regardless of which tray type you choose, make sure your surface is easy to clean (stainless steel and pyrex glass are good options). When your trimming scissors slow down due to resin buildup, it’s time to switch them out with your fresh pair. To ensure your other pair is clean and ready to go, you’ll need a rag and a cup with rubbing alcohol. The alcohol will help weaken and remove the resin, and wiping the blades with a rag will ensure they are spotless. Wear an apron. Better yet, wear a silk apron. The resin will not stick to silk and your laundry will thank you! Gloves are also a great way to keep your hands resin-free, and they can prove beneficial during long trim sessions. 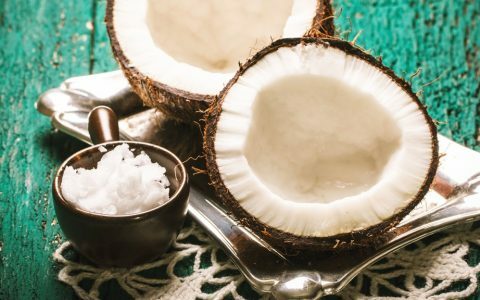 If you don’t like trimming with gloves on, rubbing coconut oil or olive oil on your hands will help keep the resin from building up on your skin. A long trim session can seem even longer with nothing else to help pass the time. Staying entertained is crucial to your sanity. Anything that doesn’t require visual attention is recommended, such as music, podcasts, audiobooks, and standup comedy. When trimming with a group of people, try keeping the stereo volume down and see what fun conversations might start when everyone can actually hear each other. If you instead prefer to “watch” something while trimming, stick to classic comedies. Shows like Seinfeld can be enjoyed without looking at the screen, especially if you’re already familiar with them. When cannabis is initially harvested, the branches will be covered in fan leaves. Remember, these are large leaves that do not have trichomes on them, so it’s best to remove them before drying the cannabis. If you’re going to use a machine at any point in the process, this is where we recommend using it. Using a Trimpro Original will allow you to pull off a majority of the fan leaves quickly before hanging the branches to dry. Once you have dried the cannabis, you’re ready to begin trimming. Take the dried branches and snip the buds from the branches into the desired size without actually trimming them. The term for this method is called “bucking down.” Fill a brown paper bag with the amount you plan to trim that day. This step helps you prep for the next day’s work, allowing you to stay seated and focused. Be sure the bud is the desired size. You do not want the stem to be exposed anywhere but at the bottom. Trim the stem at the bottom as closely as you can without causing the bud to break down. Next, remove the crow’s feet. These are the little branches that will stem up from the bottom of the nugget, and they look like little bird feet or pitchforks. The last step is to trim off the extra plant matter and manicure the bud. It’s best practice to angle your scissors towards the bud and to continually keep the scissors moving while making precise snips. Remember to swap out your scissors as they become covered in resin. Also, make sure to avoid shaving off large sections of the nug at once, as this process will ruin the bud and reduce your yield. 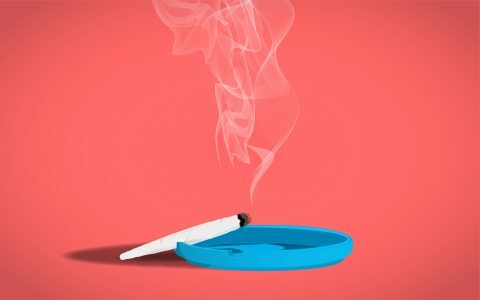 Rotate the bud 360 degrees once or twice until you’re satisfied with the job. It’s important to set a standard and stick to it or else you will be constantly double-checking your work. 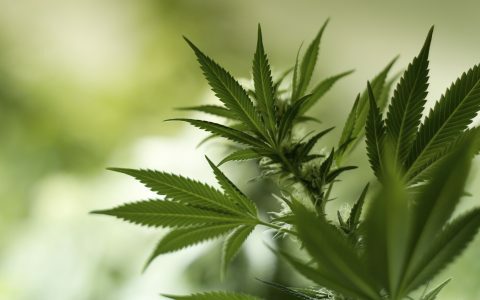 A common practice for trimming cannabis is to consume what you are trimming as you work, but this causes many people to become hyper-focused on the quality of their trim job and waste time. Consider separating work from play, and see if you get more accomplished. Always use the tips of your scissors when trimming, and try not to trim with the sides. This will keep your tools cleaner for longer and reduce stickiness. When trimming, take away everything that isn’t fully covered in trichomes. Attempt to create a uniform surface area around the buds. This includes taking down red pistils all the way to the foliage. Pistils have very little to zero trichome content and should only be kept long for aesthetic purposes. Save your trim for budders, edibles, and tinctures. There is still a good amount of cannabinoid content in this excess foliage and the frugal grower can do some amazing things with excess trim. 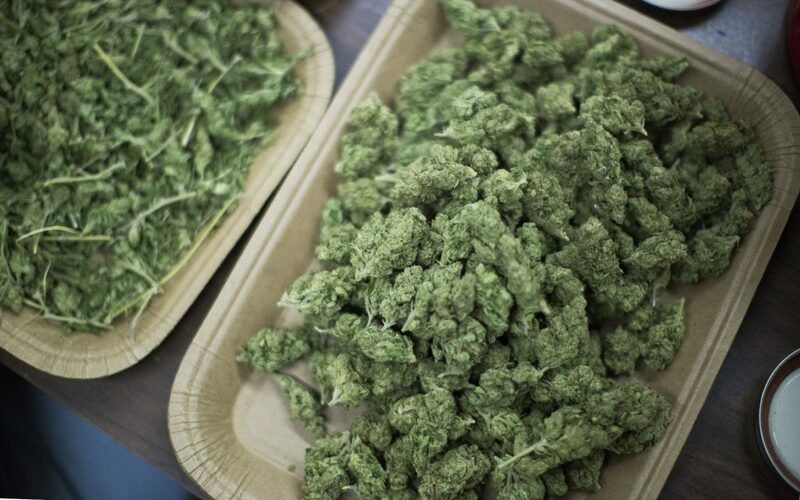 Store your trimmed buds in airtight containers for curing. Glass mason jars make great companions for freshly dried and cured buds looking to go into a long cure. Finger hash is a great post-trimming treat. 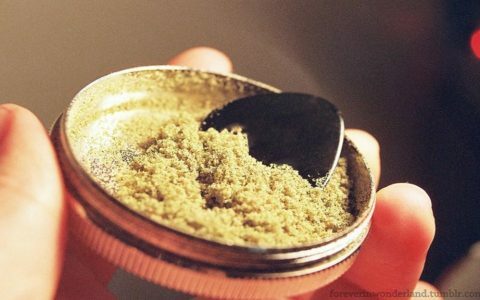 Also known as “scissor hash, ” finger hash can be sprinkled onto a bowl of flower, rolled into a joint, or dabbed on a nail for a minty fresh, cannabinoid-rich victory sesh to celebrate a finished harvest. Hopefully by following some of these tips, your next harvest will be more productive and enjoyable. Be proud of your end product and give it the love and attention it deserves! 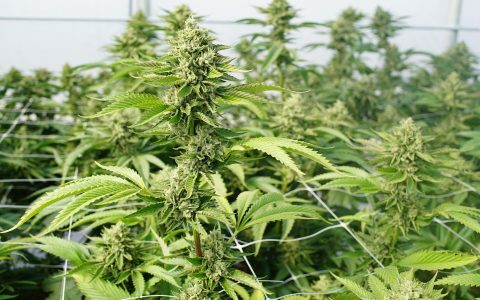 Growing How to Prune Cannabis Plants Growing Training Techniques to Improve Your Cannabis Grow Growing 5 Common Mistakes Made by Cannabis Growers Growing What Is Super Soil and How Do You Make It?